Marketing is the backbone of a business. 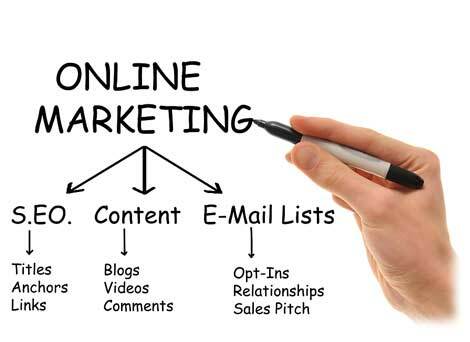 Online marketing is interpreted as an important way of making your business grow. Our company Fusion Dream Solutions is well versed with the latest techniques of doing it. Marketing requires a proper planning otherwise you will not be able to attain any positive result. The strategy adopted by you should be consistent in nature. Search engine optimization process is an integral part of it and assures a proper maintenance of your rank in SERPs. We mainly focus on Google, Yahoo and Bing. We work to get a proper ranking for your website. Once the target has been achieved, we strive for the ways to maintain it. The frequent updates made by Google increase the necessity to use such techniques. The ranking of website can also fall if you fail to manage it regularly. The changing algorithms of the search engine and the excessive competition have made it imperative to opt for thorough maintenance. The team of Fusion Dream Solutions has adopted for the measures to keep you ahead in the internet market. Some of the common methods used in this process are Search engine optimization, link building, email marketing, paid search, social media marketing, local search, performance reporting and content creation. We have gained expedite in methods like social media marketing. It is an integral part of mainstream business and gives a scope to communicate globally. Email marketing has been considered to be a traditional method but we continue to use it. The expert content writers of Fusion Dream Solutions enable us to give a proper finishing to the entire task. Quality content is considered as a king in the process of SEO. The reason being it is the content of the website that attracts visitors to it otherwise it is merely a skeleton with no life in it.